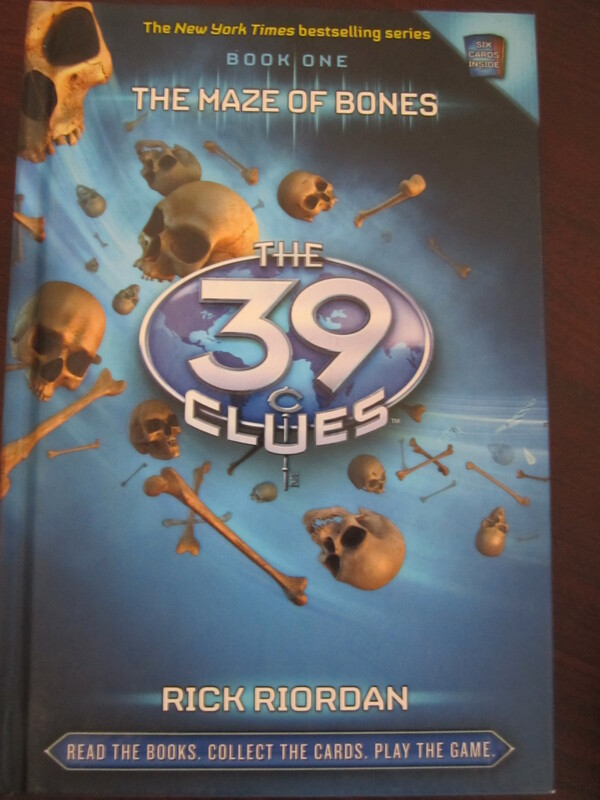 The 39 Clues (2008) by Rick Riordan is a mystery/action-adventure series for young teens and is quite a fun and insightful read. Amy and Dan Cahill are orphans living with an overbearing aunt named Beatrice when their grandmother, Grace Cahill, dies. As it turns out, Grace was in charge of a vast fortune and at the reading of her will the family members have to make an immediate choice: take one million dollars and walk out the door, or accept the challenge to go on a mystery hunt all over the world and inherit such power and wealth that could change the course of human history forever. Amy and Dan, humbly, accept the challenge. The rest of the Cahills, both distant and near relatives, turn against each other or establish temporary alliances as each group searches for the meaning of the first two clues. The hunt leads Amy and Dan, accompanied by their au pair, to near death as the game becomes all too real when a bomb explodes and almost kills them. After unraveling the first clue in Philadelphia where the late Benjamin Franklin and his legacy are behind the first revelation, Amy and Dan go to Paris to seek the Maze of Bones and the answer to the second clue. What I liked most about this book is that Riordan is able to incorporate historical facts and weird side-notes about famous people who (according to the book) are related to the Cahills and their clans. For example, Ben Franklin wrote, in addition to Poor Richard’s Almanack, some essays solely about farts. Also, how places like Independence Hall and the Rue de Rivoli or the Louvre or the Tuileries garden are used as settings in this book for youths who in this day and age need a bit of historicity and a bit of intellectual knowledge to go along with a fun mystery. The only disappointment I had about this book was that it contains the first two clues and that to find out if Amy and Dan live to discover the treasure, and what pray tell that treasure of such importance could possibly be, one has to read the series–which is not a bad thing for young people: to read while learning a bit about history and the world and have fun doing it. A strong recommend for young people under the age of twelve.